Outback's a hit, so why not a Buick? Will outdoorsy types buy a Buick? Will Americans see the advantage to a hatchback? That's not a sedan you're looking at; the Regal Sportback is a hatchback—and that's a good thing. Roomy and pleasant to drive, the 2018 Buick Regal is a crossover in car clothing. The sedan is long gone. Long live the new sedan. The 2018 Buick Regal is a mid-size hatchback or wagon from a Detroit automaker with Euro flair. 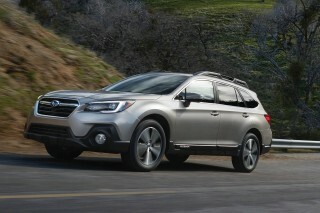 The tall-riding wagon has the Subaru Outback in its sights and the hatch has sporty Euro luxury intentions. 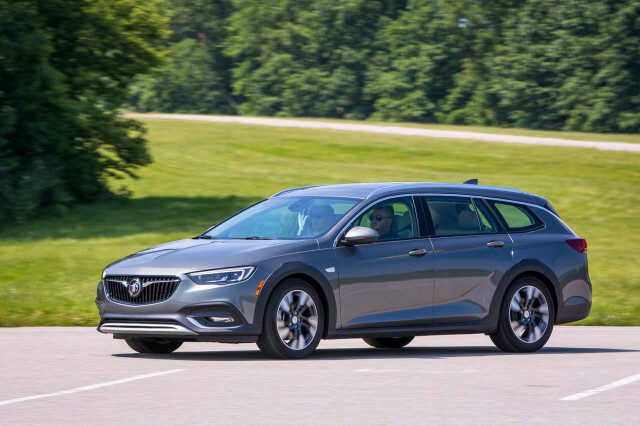 The Regal Sportback is basically the European-market Opel Insignia and the Regal TourX is a station wagon with fender flares, standard all-wheel drive, and more ground clearance. A third spinoff, the sportier Regal GS, takes the Sportback body and adds V-6 power. 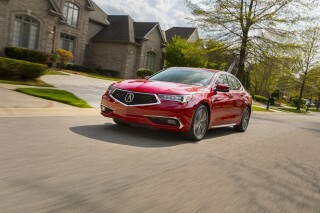 The Regal Sportback and TourX offer a 250-horsepower 2.0-liter turbo-4. The Regal’s turbo-4 puts out 260 pound-feet of torque with the front-wheel drive that's standard on the Sportback, but AWD versions get 295 lb-ft of torque. Front-wheel drive Regal Sportbacks use a 9-speed automatic, while AWD versions shift power to the wheels via an 8-speed automatic. The TourX comes standard with AWD and an 8-speed. That all-wheel-drive system features a twin-clutch rear differential to rapidly transfer power to the wheel with the most grip. The Regal GS features a 3.6-liter V-6 making 310 hp and 282 lb-ft of torque, paired to a 9-speed automatic. It has all-wheel drive, as well as adjustable shocks, a five-link rear suspension, sport seats, and more aggressive body work. Power is good on either version, while the Regal GS has much better body control and a more responsive drivetrain, with steering that's very well tuned for highway tracking and back-road carousing. Stretching 192.9 inches, the Regal Sportback is about two inches longer than the outgoing sedan. The Sportback looks mostly like a fastback sedan, but its rear hides a massive tailgate that opens to reveal a hefty 31.5 cubic feet of space with the second row upright. Fold those seats and maximum capacity swells to a crossover-rivaling 60.7 cubes. The TourX sits less than an inch higher off the ground. It is, however, 3.4 inches longer overall, bringing it to 196.3 inches from bumper-to-bumper. That's hefty—7 inches longer than an Outback and stretched more than a foot longer than a Volvo V60 Cross Country, the two models Buick says it's targeting. It also has a five-link rear suspension, while standard Sportbacks have a four-link. Predictably, the TourX is roomy inside, offering 73.5 cubic feet of maximum cargo volume with the second-row seats folded forward. 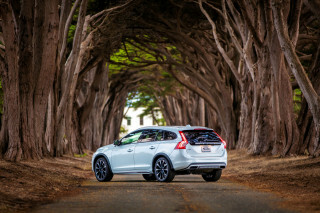 That's a figure that well exceeds the V60 but is on par with the smaller Outback. All models are five-seaters with an interior that aims to be high-end but winds up more in the mainstream. The Sportback is offered in 1SV, Preferred I, Preferred II, and Essence trim levels, plus the sportier GS. Pricing drops by $2,000 from last year to around $26,000 to start for the Sportback, while the line-topping GS starts around $40,000. The TourX offers 1SV, Preferred, and Essence models, with pricing starting around $30,000. A 7.0-inch infotainment system is standard, as is active noise cancellation, while an 8.0-inch screen with with Apple CarPlay and Android Auto, and navigation, is optional. Bose audio is on the options list as well. An option package adds blind-spot monitors, rear park assist, and rear cross-traffic alerts. A separate option package adds even more—automatic emergency braking with pedestrian detection, active lane control, lane departure warning, and adaptive cruise control. It is only available on the high-end models. The $39,995 Regal GS hatchback has keyless ignition, remote start, parking sensors, and blind-spot monitors. For $945 Buick adds Apple CarPlay and Android Auto, navigation, and Bose audio. A $1,690 safety bundle, which should be standard, gets automatic emergency braking. which includes automatic emergency braking for $1,690. All in, the Regal GS costs $43,115. 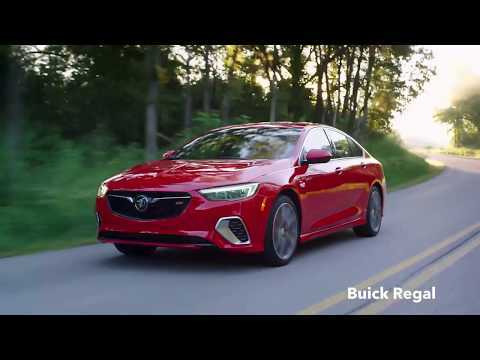 The 2018 Buick Regal Sportback hides its hatchback shape in an attractive body similar to many of today's mid-size sedans. The Regal Sportback's profile is similar to sedans like the Honda Accord and Nissan Altima. The roof is more rounded than you get with the Accord, for instance, but that just leaves a bit more interior head room for the second-row passengers, and a bit more cargo space. A chrome trim strip traces the top of the window-line, and thus follows the roof-line. The sides also feature two character lines, one that bisects the door handles, and another that runs along the bottom of the car and kicks up before the rear wheel. At the front, the look is sculpted and attractive, with a grille borrowed from the Avenir Concept that appeared at the 2015 Detroit auto show. It has a large Buick crest in the middle with wings sprouting from it. Air inlets sit at the corners and in pricier models they also house fog lights. The rear is simple and clean, with LED taillights and an integrated lip spoiler on the hatch. The Regal GS uses the Sportback body style but has more aggressive front air inlets at the corners, ground effects along the sides, 19-inch wheels, air dams, and a rear decklid spoiler. The Regal TourX has the same basic design, but with a long roof. It is also 3.4 inches longer overall and features cladding around the wheels, lower body, and even on the lower portion of the front fascia. It doesn't sit much higher up, though, so it avoids the wagon-on-stilts look seen in the Outback. For better or worse. Inside, the Regal's design is attractive if light on flourish, with flowing lines on the dash that carry through to the doors and center console. The look is better with contrasting colors. A 7.0- or 8.0-inch touchscreen sits in the center of the dash, and a digital driver information center is available on higher line models. Surprisingly, the Regal TourX's interior isn't any different, aside from a much larger cargo hold. The lack of earth-toned upholstery seems like an opportunity missed to us. The GS gets sport seats and a drive-mode selector. 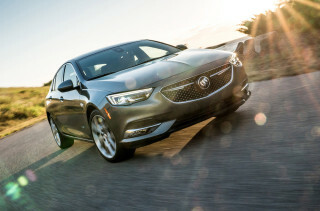 With its well-tuned engine and suspension, the 2018 Buick Regal is reasonably quick and confident on the road. 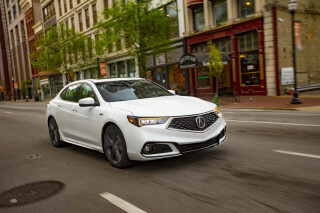 The Regal's turbocharged 4-cylinder puts out 250 horsepower and 295 pound-feet of torque with all-wheel drive or 260 lb-ft when it sends the power through the front wheels. With front-drive, it is paired with GM's new 9-speed automatic transmission, but AWD models get an 8-speed automatic. Neither transmission comes with steering wheel shift paddles, but drivers can shift manually through the gearshift. The powertrain is well-suited to the Regal and satisfying to drive. Buick says the 0-60 mph run takes about 6.2 seconds and that feels right to our backsides. 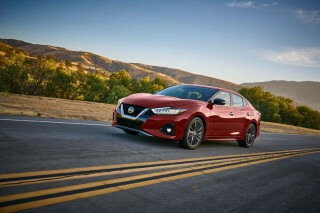 Between throttle response and transmission programming, the power is ready and willing, and the transmission always seems to be in the right gear, especially the 9-speed. The Regal has no mode selector; instead it offers just one well-tuned powertrain program. The available all-wheel-drive system is advanced. It runs with a front bias most of the time, but can send about half of its power to the rear wheels when needed and it has a twin-clutch on the rear axle that can apportion power between the rear wheels. It acts as torque vectoring, but is meant more for traction than performance. The chassis and steering are also quite competent. The Regal Sportback has a MacPherson strut front suspension and a four-link independent rear suspension. The TourX and GS have a five-link rear. Ride and handling characteristics in the Sportback are short of sporty, but bordering on fun. The suspension soaks up bumps nicely with the 18-inch wheels, the steering is direct if without much feel, and the Regal carves the line the driver tells it to. The Regal TourX isn't much different, although its ride is a touch softer thanks to its taller sidewalls. It's comfortable, quiet, and composed on the highway and just entertaining enough on a twisty road. 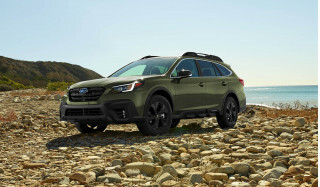 What it lacks is any real four-wheeling ability, at least compared to the high-riding Outback. The TourX's suspension sits barely half an inch higher off the ground and there are no off-road modes for the traction control as in some rivals. With 310 horsepower and 282 pound-feet of torque, the Regal GS' 3.6-liter V-6 offers more hustle in its bustleback body. In a heftier package—curb weight creeps up to 3,796 pounds—the Regal GS tacks on an extra forward gear to slice a few tenths off the Regal's acceleration times. Buick claims no official numbers, but with its gearing and lower peak torque, the GS feels ready to deliver sub-6-second acceleration times. The V-8 crackle your ears expect is missing, replaced by some typical V-6 drone. Give credit here to the 9-speed automatic, which takes manual orders from the shift lever if you must. Shift paddles are a no-show. Still, the transmission has savvy programming in either Sport or GS drive modes. The gearbox hangs on to lower gears when it should, clicks off rapid-fire upshifts whenever it can. As with the other Regals, the AWD system shifts power to the rear wheels and then splits it between the rears to improve handling. It's a sophisticated setup, ironically better than the one GM fits to its big crossover SUVs. The Regal GS benefits from lovely steering weighting and build-up. There's no overwhelming weight, just the right amount of boost to accentuate its composed middle-ground handling. That's in large part due to a suspension designed with constant-adjusting dampers with a fair amount of compliance even in GS mode. The tire noises from the Continental Pro Contact TX 245/40R-19s get a bit thumpy, but in Sport mode, the Regal GS strikes an ideal back-road vein of fluid ride and crisp on-center steering response. Throw it in GS mode and into potholes, and the ride and handling can show some brittle nerves, but that's a rare exception to its unruffled demeanor. A cavernous rear hatch area makes the 2018 Buick Regal Sportback the crossover of cars. The Sportback has surprising cargo space and the TourX has even more. With the rear seats up, the Sportback boasts 31.5 cubic feet of cargo space in the rear hatch area, which is double the size of a typical mid-size sedan's trunk. It gets better when you fold the rear seats down and the cargo hold opens up to an amazing 60.7 cubic feet. That's about a foot more than you get in a Mazda CX-5, but taller items won't fit due to the sloping roofline. The rear seats fold in a 60/40 split on lower line models and a 40/20/40 split on higher line versions. The three-way split lets two occupants sit in the outboard rear seats while carrying longer items like skis, tents, or mannequins. The TourX expands that space to 32.7 cubic feet behind the rear seat and 73.5 cubes with the rear seats down. Its space is shallow but long and it easily swallows a week's worth of luggage for a family of four. A standard roof rack is a nice touch, but the optional, dealer-installed crossbars sit up high and create copious wind roar. Passengers also will have good space. The rear seat will work for riders 6-foot-2 and shorter as the sloping roofline doesn't dip too aggressively, and the front seat has excellent space all around. Unfortunately, buyers have to move up a few models to get power seats with additional adjustments, so we recommend testing the seating position to see if it works for you before choosing a lower trim level. Space for small items is just adequate. Buick provides a wireless charging mat for cell phones, which is handy, but otherwise that space is limited to cupholders and a nicely sized center bin. Another open tray would be useful. The interior quality is little better than what you get in a mainstream car, which isn't impressive given Buick's role as a premium brand within GM. There are some soft-touch materials on the dash and door tops, but the lower areas are hard plastic and Buick hasn't paid attention to the details. The way the leather on the seats is stitched together isn't always exact, and there is some untrimmed flash in out-of-the-way areas like cupholders or door pockets. Surprisingly, the TourX's interior doesn't look any different. We'd like to see unique colors and trim finishers. One thing Buick does do well is tune its vehicles for quietness. The Regal comes standard with active noise cancellation, extra insulation, and even foam in the tires to damp out road noise. The 2018 Buick Regal has no crash test data yet and we object to Buick offering its active safety features only on the top models. Standard safety features include dual front airbags, curtain side airbags that protect the heads and torsos of front and rear passengers, dual front knee airbags, a rearview camera, and an Active Safety Hood that uses pyrotechnics to pop the rear of the hood upward if it detects a human making contact with the vehicle to reduce the possibility of injury for pedestrians. A pair of packages add more safety equipment, but they are only offered on the Essence and GS models. Driver Confidence Package 1 includes rear park assist, rear cross-traffic alerts, and blind-spot monitors, while Driver Confidence Package 2 adds adaptive cruise control, forward collision warning with automatic emergency braking, and active lane control with lane-departure warning. A better bargain than in the past, though Buick reserves the best goodies for the high-end models. The 2018 Buick Regal Sportback is offered in 1SV, Preferred I, Preferred II, and Essence trim levels. Standard features on the 1SV include cloth upholstery, manually adjustable seats, power accessories, air conditioning, keyless ignition, a rearview camera, a 60/40-split folding rear seat, and 17-inch alloy wheels. 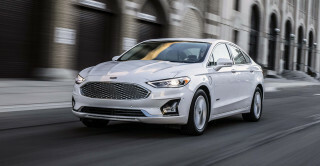 Infotainment features include OnStar 4G LTE connectivity with a wi-fi hotspot, OnStar turn-by-turn directions and emergency assistance, a USB port, a 7.0-inch infotainment touchscreen, and a seven-speaker AM/FM audio system. It also comes with a Teen Driver program that lets parents set parameters for their teen drivers. The Preferred I adds a leather-wrapped steering wheel, an eight-way power-adjustable driver's seat with two-way power lumbar adjustment, and an auto-dimming rearview mirror. The Preferred II adds 18-inch wheels, foglights, a 40/20/40-split folding rear seat, a heated steering wheel, an 8.0-inch version of the center touchscreen, Apple CarPlay/Android Auto compatibility, Bluetooth, satellite radio, a 4.2-inch digital driver information center, remote starting, dual-zone automatic climate control, and ambient interior lighting. The Essence adds heated leather seats. The $39,995 GS model is sportier. It gets Brembo front brakes, adjustable dampers, a drive-mode selector, 19-inch wheels, a rear decklid spoiler, air dams, ground effects, blind-spot monitors, rear cross-traffic alerts, and front and rear park assist. Inside, it has heated and cooled sport seat with a massage function and power-adjustable bolsters, and memory for the front seats and outside mirrors. The TourX is offered in 1SV, Preferred, and Essence trims. The 1SV is like the Sportback 1SV but it has 18-inch wheels. The Preferred is like the Sportback Preferred I but it adds a height-adjustable front passenger seat. And the Essence has all of the equipment of the Sportback Preferred II and Essence. 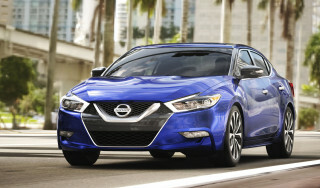 Notable options include Driver Confidence Package 1, which includes memory for the front seats and mirrors, four-way power lumbar adjustment for the front seats, an auto-dimming and heated driver's side mirror, LED headlights with auto-leveling, cornering lamps, rear park assist, rear cross-traffic alerts, and blind-spot monitors. Driver Confidence Package 2 adds adaptive cruise control, forward collision warning with automatic emergency braking, and active lane control with lane-departure warning. A Sights and Sounds Package includes the 8.0-inch touchscreen, navigation, satellite radio, and an eight-speaker Bose audio system. With front-wheel drive, the 2018 Buick Regal manages a thrifty 26 mpg combined. The full EPA ratings for the 2018 Buick Regal Sportback with the turbo-4 and front-drive are 22 mpg city, 32 highway, 26 combined. Opt for all-wheel drive, and the EPA ratings fall to 21/29/24 mpg. Both are rated on premium fuel. The 2018 Buick Regal Tour X wagon comes only with AWD. 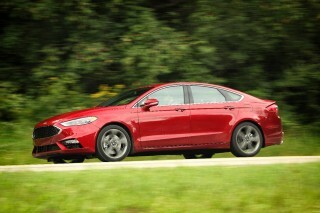 It gets the same 21/29/24 mpg ratings as the Sportback. Beware, though: the turbo-4 is rated to run on premium unleaded. At the top of the lineup is the Regal GS. It features the Sportback body style with a 3.6-liter V-6. Its ratings are 19/27/22 mpg on regular unleaded.